Helloooo Monday! I've got a short week ahead of me because of Easter break, and I'm glad. I'm in desperate need of an extra day to catch up grading and laundry and sleeping. In the meantime, I've got a fun opportunity for anyone out there who might be interested in a cool obstacle race. A few weeks ago, I was contacted by the folks who run the Spartan Race. For those of you who don't know, Spartan Race is a running race that features a variety of obstacles. They take place all over the country, and the obstacles aren't advertised beforehand, which adds to the excitement and mystery. 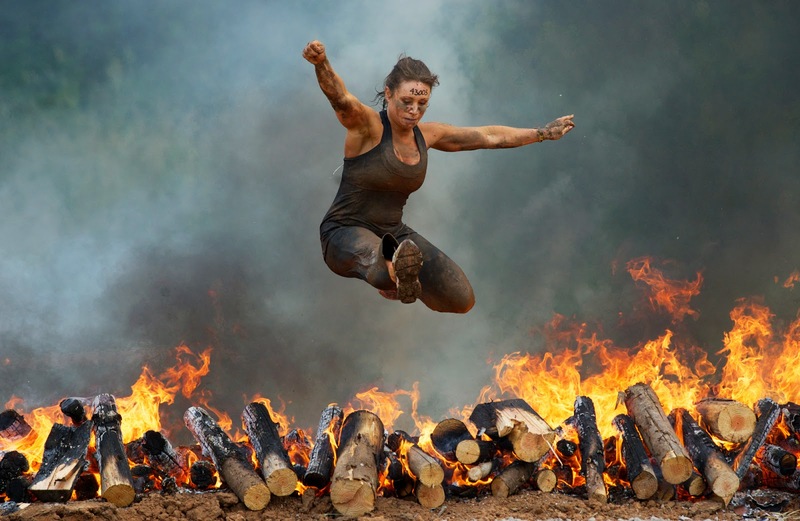 They also have three levels of races that you can register for - Spartan Sprint, which is 3+ miles and 15+ obstacles; Super Spartan, which is 8+ miles and 20+ obstacles; and The Spartan Beast, which is 12+ miles and 25+ obstacles. While I love racing, I love reading even more. 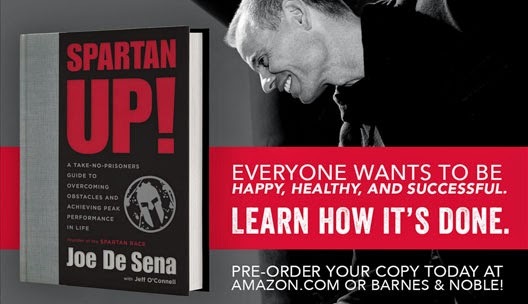 That's why I was excited when I heard that the man who created Spartan Race, Joe De Sena, has a book coming out this May. It's called Spartan Up!, and it's a guide to performing your best no only in a race, but in life. I'm going to read and review it in a few weeks, and you'll have a chance to win a copy at that time, or you can pre-order it now. In the meantime, Spartan Race has provided me one free race entry to give to a lucky reader. If you want to become a Spartan, leave a comment on this post telling me what you would do if obstacles weren't an issue. For example, I'd buy a farm just outside a big city and raise chickens and goats while writing bestselling novels in my private study with floor to ceiling bookshelves (one day!). Let me know what you'd do by 11:59 PM ET on Sunday, April 20th, when I'll choose one winner. Spartan Race provided me a free race entry for a reader, but I received no other compensation for this post. All opinions are my own.